At the Founders Institute in Athens, we are working with teams on pitching their ideas and try to develop them into viable startups. The teams get better and better as the number of pitches increases and the feedback they get gets more concrete, so here is a guide on how you can get a better pitch for your idea for different audiences. A. 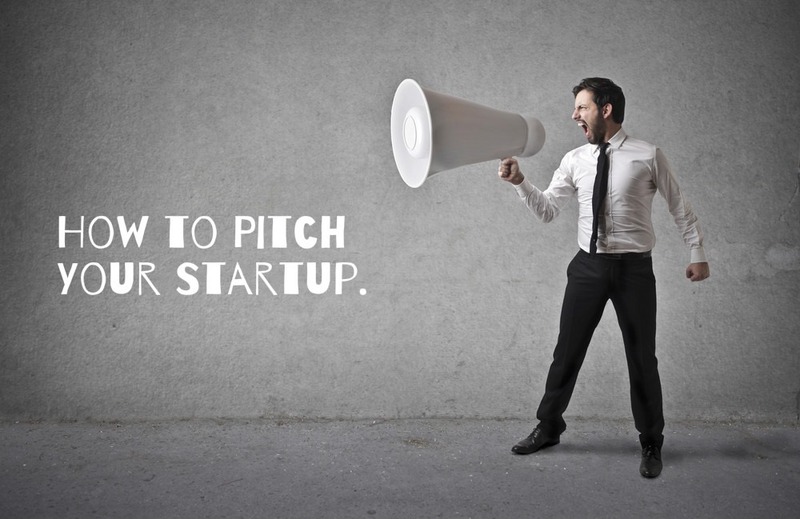 Why you need to work on your pitch? 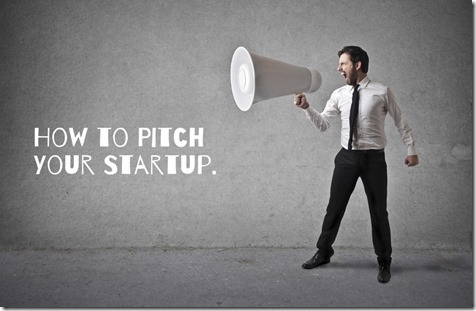 To whom are you going to pitch? 1. Pitching to find a co-founder: Imagine you are going to a Startup Weekend, an OpenCoffee event or another entrepreneurship meeting and you are a business person trying to find a technical co-founder. You will need to explain your idea in a clear way, so that people can correlate with it and get enthousiastic. 2. Pitching to Contests: While trying to set up your startup, you will want to participate in contests that offer financial or other rewards. 3. Pitching to Incubators and Accelerators: If you want to get accepted at incubators and accelerators, you will need to pitch to them. 4. Pitching to Investors: No pitching, no fund-raising. You will need to persuade investors to get the money out from their pockets and you will need to work on your pitching skills to showcase the great potential of your idea and startup. 5. Pitching to the Media: You will usually have a minute to grab the attention of a journalist or a PR persons and get him/her to write a story about your startup. B. Do you use the same pitch to everyone? No. It obviously depends on who you are talking with. A journalist will not be that interested in the details of “how you are going to make money” and will be more interested in hearing a story on how you will be the first to solve this difficult problem or an angle that will be worthwhile to share with their audience. Moreover, you will have the time constraint. You will need to have a 15 seconds pitch, a 1-2 minute pitch and usually a longer one, such as 10minutes, which some prefer to call a “presentation”. C. What is a good format to use when pitching to these 5 audiences? The general rule is that people will decide to work with you if they like you as a personality and feel that they have a certain “chemistry” with you, plus if they like your idea, plus if they feel that you have the background to deliver on it, plus if they believe that you have a sound plan and first evidence to prove it. Don’t ask for NDAs before you pitch and don’t withhold information. You have to show trust to gain trust. “I have built a web service which makes it possible for a company owner to design, create and order his own product packages, without any skills. I did some marketing and I already have my first 2-3 customers, with great feedback. I am looking for a business co-founder who will do the business development for it”. Introduce yourselves and let the audience know a couple of things about your background. Have you built another 3 startups? Do you have Phds in a field? Have you worked for 10 years in a multinational environment? Have you won awards?Is there any other special characteristic in your team that will make the audience believe that you are the right persons to try and solve the problem you will present? As all engineers know, there are two spaces in the world: The problem space and the solution space. Before you jump into the solution space, you have to make sure that you clearly explain the problem. E.g., in the example we are using about Online Packaging creation and order, why would it be a problem for a shop owner to use the classical-offline method? How much time and money does it take? How often does he have to change packaging? Are there any other problems he is facing, such as not being able to A-B split test the packages with the offline method, as it costs him too much? This is the point where you define the main parameters of the problem and you give a gravity to each one of them. If you have market research data to prove it, e.g. you have talked with 100 customers, use it here to prove your point. Having explained the problem space, you are jumping now into the solution space. Here you explain how you created a perception model to address the problem parameters that you have defined. Explain what is so special about your solution. Showcase the solution, e.g. your mobile app and web service. Have data about feedback from your first beta users. Do you have a 5% week over week growth in registered/paid users, as Ycombinator asks for, in order to consider you as a startup in the right path? As Steve Blank says, a startup is a temporary organization that is set up to find a repeatable and predictable business model. How repeatable, scalable and predictable are you? What is the market you are targeting? What is the total addressable market opportunity? Be specific. E.g., in our example, try to find the number of packages up to a certain size that are designed and ordered every year in your targeted country. And for the specific use cases you are thinking of. E.g, a well established cosmetics company will probably not use your online packaging service but a young one that is just starting and is testing a couple of products with limited production, might do that. Competition is usually a nice sign. It shows that there is a market and money to be made. E.g., when dropbox was launching, there were any other solutions for cloud storage and when the investors asked this question, the dropbox team replied: “Well, do you use any of those? No! Why? Because they are not simple enough. This is what we are going to solve for you.”. A lot of startup when they pitch, they are using the term “there is no competition in this”. This is risky. If there is actual a couple of competitors and you don’t know them but your audience does, you completely lose your credibility. Do your homework well and study all the competition. How are you going to make money? Freemium? Subscription model? Once-off payments? What is the Life Time Value of your customer? What is the Customer Acquisition cost? You pitched. You persuaded us about your vision and the strength of your team to deliver it. What do you need as a help to get there? Funding – and how much? Mentorship? Connections for your first pilot users? Feedback? Just ask for it explicitly. D. Where Can You Find Great Pitching Decks? Please, also read some more pitch advices from Greylock partners here. – Don’t use big sentences. It confuses people. Be short, crisp, clear and to the point. – Don’t use fancy words, that are too “english-perfect”. You are not writing an essay. You are trying to communicate with people and help them understand. – Don’t expect that everyone knows about the Acronyms your are using. You may be a Tourism startup and use the term HORECA but people outside of this vertical, will not know it. Explain them the first time you use them. – If you can smile and show positive energy do it. If you can’t, don’t fake it. – Don’t be too anxious. Don’t be anxious not to be anxious. You get the point. – Before pitching formally, try to do that informally to friends of yours who hear about this for the first time. It’s never the same if someone has already heard your idea/pitch even once. Have fun pitching and please add any other resources, videos, presentations and advices you find useful! Hey there- you found some good deck examples, but a bit limited. I’ve pulled together 102 funded decks over the past 3 years, which should add a lot of value to founders writing their decks.